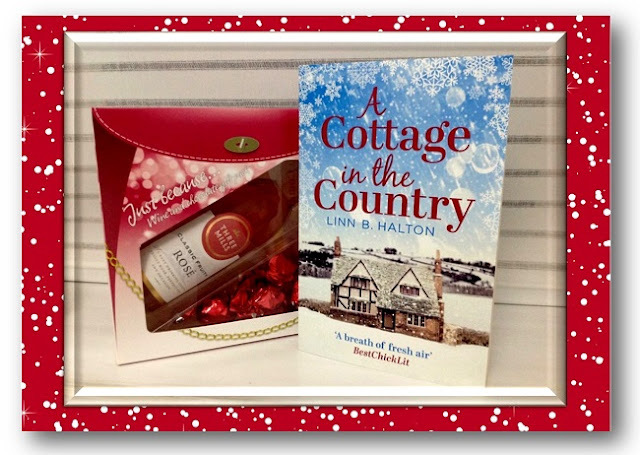 Tia is in Holly Cove to recover, after losing her mother grief has overwhelmed her and when she’s finally ready to go back to work her boss gives her a project that should lift her spirits. 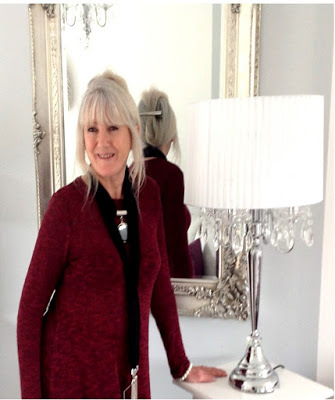 Tia works for a lifestyle magazine and has to write an article about love. It’s something Tia hasn’t found for herself yet, but maybe a change of scenery will bring her more than just comfort and a refreshed outlook on life. Tia stays at a beautiful cosy cottage that belongs to Nic. Nic is a heartbroken man, who slowly comes to life again when he spends time with his new guest. They both know what it’s like to feel sad, but together they are finally able to find some joy as well. Will Tia’s stay in Holly Cove be successful? She makes friends and loves the beach, but does that mean her heart will heal and will she be able to start looking at the future instead of at the past. Will the holiday season get its magic back? Snowflakes Over Holly Cove is a beautiful heartwarming story. I loved Tia, she’s sweet, caring and smart. She’s also honest and not afraid to talk to people. She easily makes new friends and I liked her accessible personality a lot. Tia is exactly what Holly Cove needs, Nic in particular. Tia tries to make things better for him, but by letting him help himself instead of doing it for him. That was such a wonderful thing to witness. They’re amazing together, everything just fits. They have such a gorgeous connection, but there are plenty of obstacles to overcome and many feelings to get through, so nothing about the future is sure yet. That kept me on the edge of my seat, I loved every single page of their adventure. Lucy Coleman’s writing has a terrific natural flow. I find it easy to lose myself in her stories and especially like the skillful way she creates an atmosphere. Every description is exactly right and each twist feels completely right, while it’s still surprising and unexpected. Snowflakes Over Holly Cove is romantic and thought-provoking. It’s about the good and the bad that can happen in life and how to deal with it. I really enjoyed reading this gem of a book and highly recommend it. If you love wonderful winter stories with delightful romance and a gorgeous atmosphere you don’t want to miss Snowflakes Over Holly Cove. Lucy Coleman also writes as Linn B. Halton. One very lucky reader of With Love for Books will receive a signed paperback copy of A Cottage in the Country, chocolates and a bottle of wine from Linn B. Halton / Lucy Coleman. This sounds like a really nice book. Thanks for the review, Suze. I love reading books with a feel good factor, they make me forget any troubles I may have. Thank you. 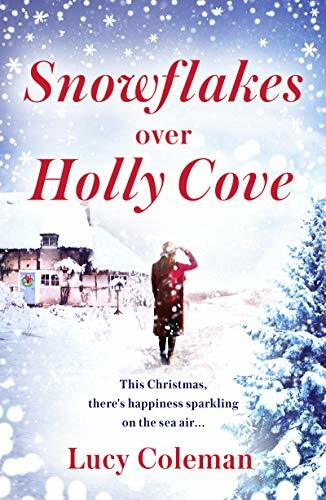 Snowflakes Over Holly Cove sounds like a heartwarming festive romance about heartbreak, forgiveness and learning to love again. Ohhh a perfect read for the cold season! Also I really adore the cozy cover design! Lovely cover to this book. Would love to win for my Mum who reads a lot. What a lovely cover photo, though I'm not too fond of snow but it does look ever so pretty. :-) I hope that this time I'll be a lucky winner of one of your books at last. Thanks for hosting. They look good. I love to read Christmas stories. Lovely covers - and three of my favorite things to read about - romance, snow and the sea! I love Linn's books. She is a great author! It looks like an interesting book. Perfect plan for the weather ahead. Sounds like a very lovely book. Linn's books sound perfect to curl up with on a cold day. Love Christmas romances, Thanks for your generosity. I love Christmas books, and that cover is so so pretty!! I love this cover! I'm so excited to read it. Such a fun prize pack and the book looks like a great read! Thanks for the chance to win! I am definitely going to read this lovely book. What a super giveaway too. The book sounds great, and I love the cover - perfect for this time of year! Oh the holidays is my favorite time to read!!! I love Christmas romances! Although I have to admit...I do read them all year around :) My favorites! Wow, I love the cover. It's somewhere I would love to live or go on holiday too. Conjures up open fires and bear-skin rugs (not real ones of course) and a warming hot chocolate to drink whilst reading a good book. It would be nice and heartwarming as winter/Christmas read, and the cover is beautiful. Thank you the review and giveaway. Looks a lovely book would love to read it. I do love a Christmassy book....i would love to get lost in this while we deck the halls! It's that time of year again when we could all do with a bit of tenderness and love. That bottle of wine would be most welcome as well!